These are the settings for the Virgin Mobile in India network. You can see the APN settings below with the MMS settings for sending multimedia email from your mobile phone. Note that the APN settings are different for each Virgin Mobile mobile phone network in each country. The settings can be found as follows being Virgin Mobile UK as well as Virgin Mobile Australia. The listing below are only for the Virgin Mobile in India. 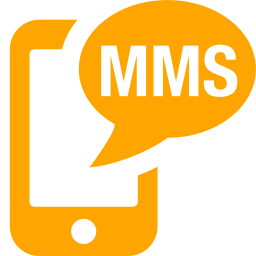 The MMS settings for Virgin Mobile India has been listed below. This is the APN settings for the Airtel network in India. You can see other APN settings from other network providers in India listed here. Note that these are not the USSD codes or the SMS codes for Airtel as those you can view here. Vodacom India is the second largest mobile phone provider in India with more than 248 million subscribers. The APN for Vodacom in India is added below however you can also get this by sending an SMS of VMC to 52586. The settings will then be sent to you. The Tata Indicom/Tata Docomo CDMA APN settings for 2G/3G and GPRS has been added below. CDMA has access in India in the areas which have been listed below. If you are not looking for the APN for CDMA then you can try the other settings listed here. The APN settings for TATA DOCOMO have been added below. Note that you can also get them to send it to your by sending them an SMS with INTERNET to 52270. The setting should be the same unless there have been many changes. This is the APN for 2G/3G/GPRS on the S Tel network in India. You can also get them to send your the settings by sending an SMS with ELIFE to 57777. This should give you the same settings as the one below. These settings will work in Assam, Bihar, Himachal Pradesh, Jharkand, North East and Orissa. The GSM APN for the Reliance network has been added below which will give you access to 2G/3G as well as to GPRS. You can also obtain this by sending an SMS ALL to 55100. Note that there is also CDMA access from Reliance in India which has been added here. These settings will give you the 2G/3G/GPRS access on the Reliance CDMA network. You can also obtain these setting bu sending an SMS ALL to 55100. This will return the setting for you if you are not online. The settings have been added below. If you make use of MTNL in Dehli then the APN can be setup manually on your phone. You can see here how to setup a Nokia mobile phone for the network. There are other networks as well so look at the Indian APN list on this website for more information. Loop is another network provider in India. The APN settings for LOOP has been added below. You can also get the settings sent to you by calling 198 (toll free). If you need assistance then you can also call them for assistance on 800 / 9821099800. There are other networks such as Idea as well as Aircel.